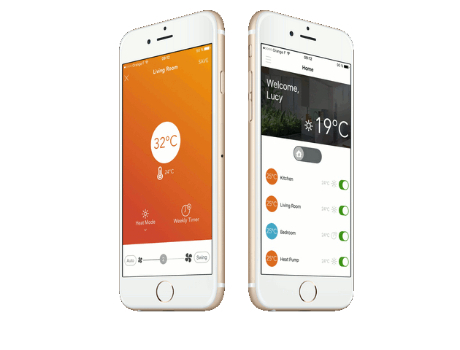 With this application you can turn the air conditioning unit on or off before arriving home or even check if it has been left running and turn it off right then. 1. Connect the Hi-Box to the router and the receiver to the air conditioning unit. 2. Download Hi-Kumo from Google Play or the App Store. 3. Configure the mobile device connection.